Phillies' Werth heading into "The Contract Year"
CLEARWATER, Fla. - Another Phillies season begins Monday at Nationals Park, and so does another fascinating case study. We're talking about the examination of a professional athlete playing in the final year of his contract, a.k.a. "The Contract Year." 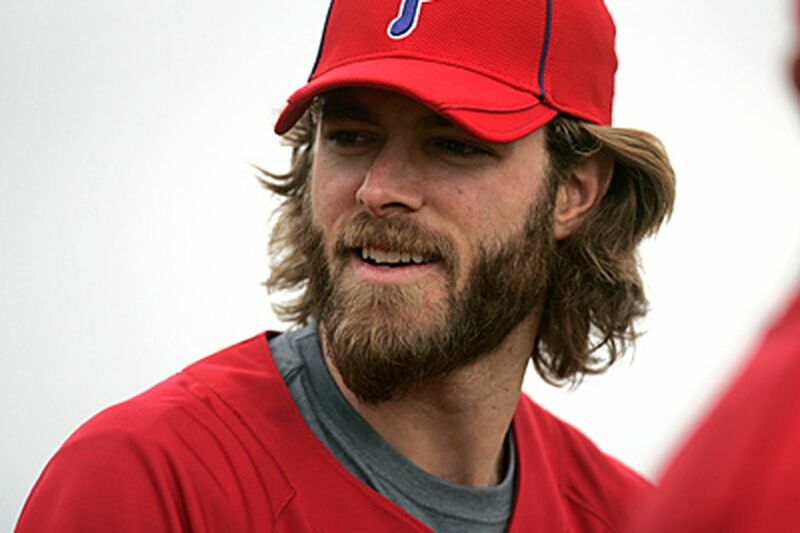 This year's Philadelphia case will focus on rightfielder Jayson Werth, a 2009 all-star who likely will have a big payday awaiting him if he can duplicate what he did last season, when he batted .268 with 36 home runs and 99 RBIs. Plenty of people believe that "The Contract Year" can be the great motivator, driving a player to a career year and a life-changing contract. "Oh, most definitely," Phillies hitting instructor Milt Thompson said Thursday before the team's final Grapefruit League game at Bright House Field. "Some guys get more focused." Thompson wouldn't use specific names, but he said he definitely remembers players who came to spring training in better shape than usual when it was the final year of their contract. That scenario doesn't apply to Werth. "He has always been in great shape," Thompson said. Aaron Rowand is the most recent Phillies player to cash in on "The Contract Year." After coming to the Phillies in the 2005 trade that sent Jim Thome to the Chicago White Sox, Rowand had two years left on his deal. In his second year, he batted .309 and established career highs in home runs (27), RBIs (89), and runs scored (105). That he also ran face-first into walls and helped the Phillies reach the postseason for the first time in 14 years made him a fan favorite and a difficult business decision for then-general manager Pat Gillick. The Phillies decided that the Giants went overboard with their five-year, $60 million offer to Rowand. It proved to be the right move for the Phillies in a number of ways. Rowand has been solid in his two seasons with the Giants, but he hasn't come close to the numbers he put up in his final season in Philadelphia. Rowand's departure is also a big reason Werth, 30, now has a chance for the big payday every major-leaguer seeks. Because Rowand left, Shane Victorino moved from platoon rightfielder to starting centerfielder, and emerged as an all-star and Gold Glove winner last season. Werth, who shared time with Victorino in 2007 and Geoff Jenkins in 2008, became the Phillies' regular rightfielder in 2009. His 36 home runs and 99 RBIs were power numbers that Rowand never achieved. Werth "has the capability to have another great season like that," Thompson said. "I think he can drive in over 100 runs. He sees a lot of pitches, and he finds a way with two strikes to fight balls off. That's one thing a good hitter needs to do." Thompson knows firsthand how contracts can play with your mind. "You shouldn't get caught up in all the hype," Thompason said. "I struggled one year in the first year of a two-year deal with St. Louis. I was trying to prove I was worth the money, and I tried to do too much. I finally figured it out, relaxed, and started to play again." Phillies leftfielder Raul Ibanez has advice for any player in the final year of his contract. "If you prepare every day the same way, then there's no added anything," he said. "All pressure is self-induced, anyway." Ibanez said he has seen players let their contract situations affect their play, and he also has seen players who "really thrive on it, too." Look at his track record of consistency, and you can see he has lived up to that way of thinking. Werth wants to do the same. He wants to focus on the team rather than his contract. "Right now, I'm in Philadelphia for 2010 and we've got an unbelievable team, an unbelievable clubhouse," he said. "To come to the park and play baseball every day with these guys, there's nothing better." Except maybe one of those five-year, $60-million contracts the Giants gave Rowand a few years ago after he put it all together in "The Contract Year."